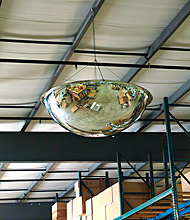 Full dome mirrors provide the widest viewing area (360 degrees) and are intended for use at 4-way intersections. 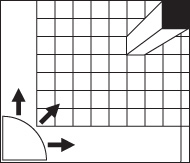 Three-quarter dome mirrors have a 270 degree viewing angle and are used on outside corners to allow traffic from several directions to be viewed at once. 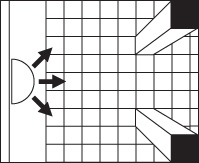 Half dome mirrors provide about half the viewing area (180 degrees) as a full dome mirror and are intended for use at T-intersections. 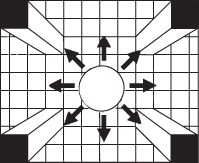 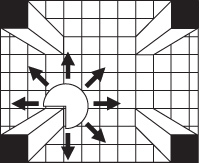 Quarter dome mirrors provide a more narrow viewing (90 degrees) area but aid greatly in revealing blind spots at 90 degree corners.